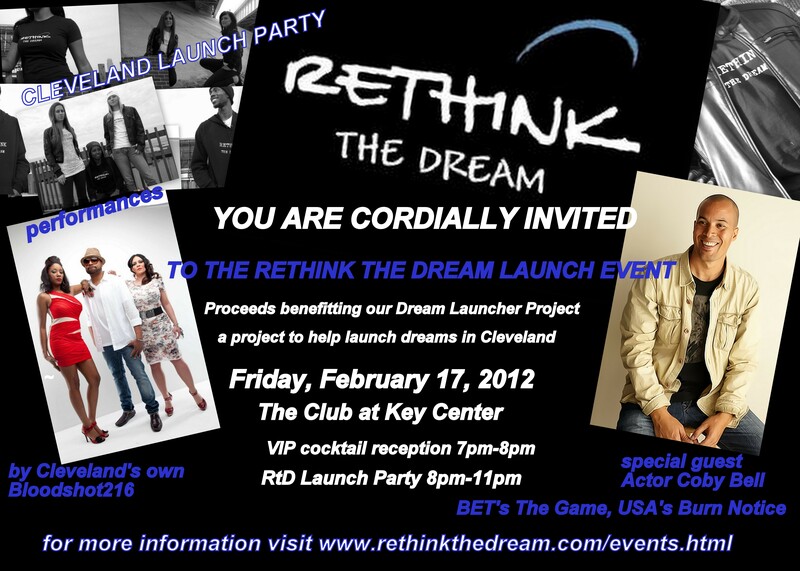 Dream, at its launch party event Friday, Feb. 17 at The Club at Key Center. goal of making a lasting impact in our community. Through the pay it forward model, a percentage ofeach sale will be donated to the Dream Launcher Project, which will foster partnerships throughout Cleveland to encourage the creation of jobs on a local level. Michel Bell, in addition to Cleveland’s up and coming talent Bloodshot216. This event will also feature a Made in America fashion show which will showcase Rethink the Dream’s American made message apparel which is sold to support the company’s Dream Launcher Project. The fashion show will feature students from Cleveland’s Jane Addams School. Rethink The Dream is committed to organizations like The Jane Addams Business Careers Center which promotes the education of business skills to today’s youth.